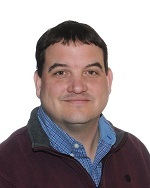 We are pleased to announce that Jon Corry has accepted the position of Service Director for Southwestern Ontario. On April 1, 2016, Jon will move into his new role and Judy Cline (formerly Quance), will assume her new role as Senior Vice President, Operations & Communications at Bartimaeus Rehabilitation Services. Jon has twenty years of experience in program development and implementation for individuals with special needs, including acquired brain injuries, in school and community settings where he has worked with educators, family members and community resource workers towards the achievement of community, academic and vocational goals. Jon believes in collaboration and in maintaining effective working relationships with those responsible for service development and delivery. Jon will be working closely with Tish Byrne who, in addition to coordinating Western Ontario, will also be coordinating services in the Halton, Hamilton, and Niagara area.